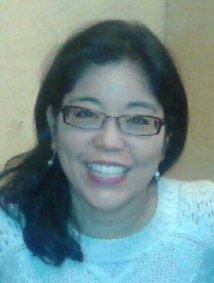 Born and raised in Seattle, Belle Nishioka earned her Master of Arts degree in clinical psychology from Antioch University, Seattle, and her Bachelor of Arts degree in international affairs/Japanese Language from the University of Puget Sound. She is thrilled to be able to pursue her passion of supporting students in their pursuit of their academic and professional dreams. She worked as a psychotherapist for nine years with children, adults, couples, and families in mental health agencies prior to becoming a counselor in community colleges in 2007. She is also a state credentialed African-American, Asian/Pacific Islander and Child Mental Health Specialist and consultant, and is committed to providing socially-just and culturally responsive services. Belle has extensive experience supporting clients around issues such as anxiety, depression, relationship difficulties, family issues, career decisions and transitions, cultural adjustments, and self-esteem. She also has specialized experience and skills working with people who are clairvoyant/psychic, energy-sensitive, and/or empaths. Before coming to Bellevue College, she worked for three years at Everett Community College as a TRiO counselor (TRiO is a program that supports first-generation, low-income students and students with disabilities), and then at Shoreline and Edmonds Community College as a counselor. She also teaches Human Development classes, including Stress Management. Belle views the counseling experience as a collaborative and supportive journey and uses a variety of short-term approaches, depending on the student’s unique circumstances and background, to help the student achieve their goals. Belle loves to hike; swim laps in lakes on hot summer days; travel and explore new places and cultures (she lived abroad in both China and Japan), and she deeply appreciates a sunny day in the Pacific Northwest!